April – it's the month of fools, and fooling around. Time to relax, look around, and remember that life isn't nearly as serious as it's cracked up to be. Here are ten ideas for ways to kick up your heels and have some fun this month. Write a poem, or thirty. Give your creative muscles a stretch by joining April's international creative writing challenge – to write a poem each and every day for the whole month of April. You can publish them online, share them with friends and family, or keep them all to yourself. The most famous fairytale author of all time – Hans Christian Anderson – was born on 2nd April 1805. Celebrate his birth by digging up the original versions of some of his most famous stories. 3. Watch a silent movie. 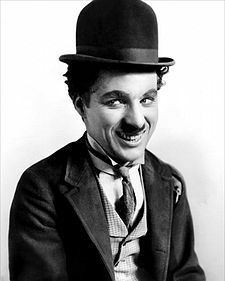 Star of the silent film era – Charlie Chaplin – was born on 16th April 1889. With the advent of 'talkies' in the 1920s, the art of silent film gradually faded from our screens, until the amazing success of The Artist late last year. Now that we've been reminded how entertaining silent film can be, let's explore a few more gems from the era. 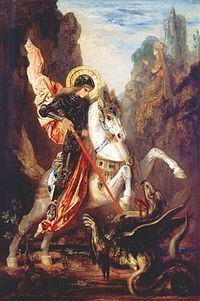 Despite being a dragon slayer, St George – patron saint of England – doesn't get quite the worldwide celebratory fanfare of St Patrick – patron saint of Ireland. But, that shouldn't stop us having a good time on 23rd April, St George's Day. Get friends and family together for a roast dinner, complete with delicious gravy and Yorkshire pudding, and wash it down with a glass of warm English ale. Since 1982, the 29th April has been International Dance Day. Go see a performance. Or better still, seek out a local club and boogie on down with some friends.